A little plug for a friend of a friend here. If you ever find yourself in Ticonderoga, New York (and I know, that’s a stretch) you’ll find tons of touristy things to do, most having to do with the Revolutionary War. However, if that’s not your cup of tea, you may want to visit the Star Trek Original Series Set Tour. 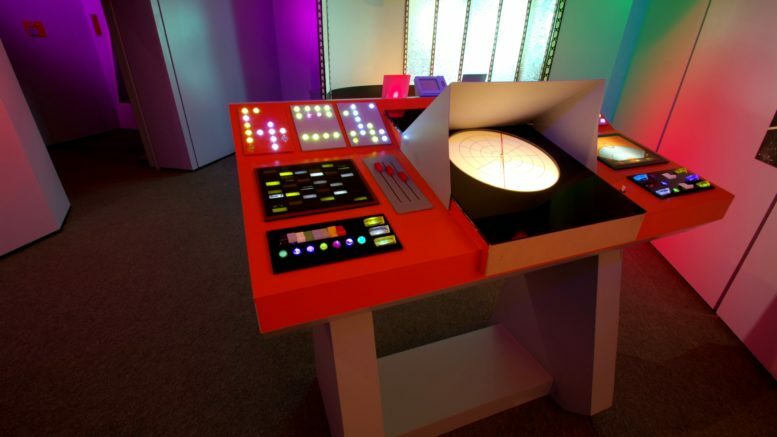 From friends who have been there, I’m told it is categorically the best, most accurate reproduction of the original Star Trek sets from the 1960s. If you’ve ever dreamed of flying through the galaxy at warp factor 4, this has to be on your bucket list. Here’s the story as I know it. Starting in the late 1990s, a group of dedicated Trek fans sought to create new episodes in the style of the old show. They did so with loving attention to detail and produced some extremely good work in the next 10 years, all self-funded and all without a shred of profit. They built sets from the original blueprints and spent untold hours poring over enlargements and screen captures to get everything perfect. With the exception of some 21st century technology to make things like lights and displays work more reliably, this is as close as you’re going to get to walking on those sets in 1967. The team who pulled off this amazing trick did it so well that they’re the only fan-made production to receive official approval from the Star Trek establishment. They’re now officially licensed. New video productions have stopped, but the sets still stand and are now a museum where you can take a tour for yourself. Yes, you have to find your way all the way to Ticonderoga NY, which means a flight to Burlington VT and a 1.5 hour drive, but if you’re serious about Trek you should at least consider it. As I said, the folks who built these amazing sets are friends of friends of mine, so this is a bit of a shameless plug in their direction. The sets are permanent, and so you’re not likely to find them in any traveling exhibition. If you really want to see them, a plane ride is definitely in your future, unless you can find a transporter beam that can take you there.